Although it doesn’t mean 11 were “easy”- many of them required absolute GK power like Article 371G = special provisions for Mizoram and so on. 2 MCQs about “terms coined by noted political scientists”. Tough for most candidates. Usually in UPSC exams (CDS,CSE,CAPF)- good number of polity questions come from union (Pres, PM, Parliament). However, this time only 1 MCQ from this area. The “union MCQ” vacuum was filled up by asking 5 GK-type MCQs about articles and schedules. 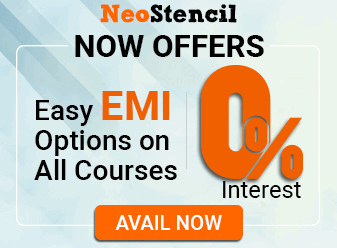 Same way, rights issue – 1 easy 1 tough MCQ. Bottom line is- while polity is a scoring areas but you can’t take it for granted that Laxmikanth alone would be sufficient. At the same time “expanding your reading” will lead to lower cost:benefit because some of these questions too fragmented in nature e.g. political science terms, Committees from bygone era. Easy by elimination, provided that Public Administration was your optional OR you prepared 2nd ARC sincerely. Easy to tough depending on your GK power. Accordingly #1, #2 and #3 are right. Hence option “D”. 125.Which of the following committee/committees submitted reports on Electoral reforms? It mentions Dinesh, Tarkunde and Indrajit so answer is “C”: only 1,2, and 3. Laxmikanth page 14.14: the second commission on Centre State relations was set up by the government of India in 2007 under the chairmanship of, Madam Mohan Punchhi -the former Chief Justice of India. 11. Which of the following reasons were cited by the Ashok Mehta Committee for the decline of the Panchayati Raj Institutions in India ? That means both #1 and #2 responsible. Accordingly, by elimination, we get the answer C-only 1, 2 and 3. Laxmikanth page 22.19 : if the Rajya Sabha does not return the money bill to the Lok Sabha within 14 days, the bill is deemed to have been passed by both the houses. substitute the National Development Council. strengthen the federal provisions of the Constitution. be an institutional interface between the Judiciary and the Government. provide membership to local customary bodies. 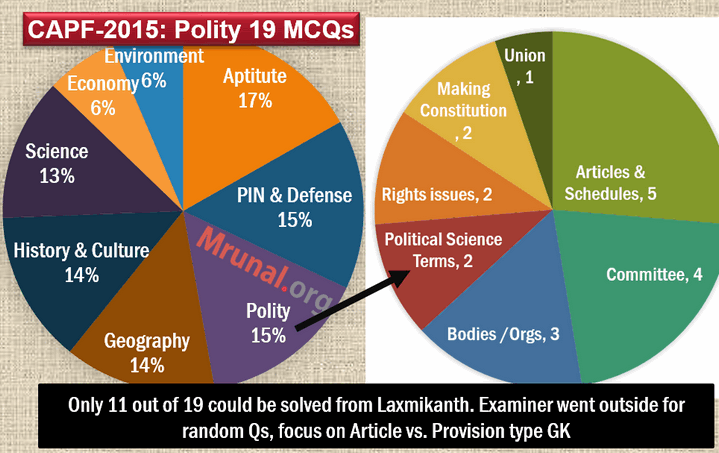 Laxmikanth- 15.2 and 15.3 discusses Inter-state council, from the given options, “B” is the most appropriate. President on the advice of the Union Cabinet. Chief Justice of the Supreme Court. President of India after an address in both Houses of Parliament. President on the advice of Chief Justice of India. Laxmikanth Page 50.1 : NHRC chairman should be retired chief justice of India. So no provision for HC judge in chairman post. This means #1 is wrong and by elimination we are left with answer “D”. Question taken from UGC-NET paper, Answer is “C” Rudolph and Rudolph. Laxmikanth appendix 6: first Amendment act, 1951 – added ninth schedule to protect the land reform and other laws included in it from the judicial review. Laxmikanth Appendix AI-9, Article 371 deals with special provisions for Mizoram. Laxmikanth Appendix AI-8, the answer is “C”. Laxmikanth Page 5.2: Answer is “C” only 2 and 3 correct. 119. Which of the following are provided in India by the Right to Education Act ? Accordingly, #1 and #2 are verbatim right. #4 not given and besides it uses the term “Citizen”, so goes outside the scope of Age 6 to 14 group. All in all, Answer is “D” only 1 and 2 correct. 107. According to Granville Austin, which of the following was / were the most significant contributions of India to constitution-making? Hindu eulogy of Mr.Austin in 2014: “C” is the most appropriate. Bipan Chandra page 492 and Spectrum Page 229: Cabinet Mission plan rejected demand for a full fledged Pakistan. 1 and 2 are right, as per Spectrum page 229 and 230, so answer is “B”. SIR please upload excel sheet of may and june for current affairs and also upload yours as well as mam’s lecture please sir…!!!! Just one month left……need badly……..PLease ROBINHOOD !!! Focus on GK means current affairs or something else. questions looked easy, answers look hard….upsc pariksha lega is baar jamke…csat………………..
bhai getting around 110 (+\- 3) category SC any chance?? Cabinet Mission proposed two tiered federal plan..
Answer of q.n 118 should be 1& 3…please refer Modern India of Bipin Chandra page 327 the last para….. Question 118 Cabinet mission proposed 2 tier system only . So answer 1&3 . Please provide us the Current affairs topics. A humble request mrunal Sir/ Rajatnil Mam. It seems the question paper is quite tough…. Even mrunal sir is taking so much time to upload the answers………. Bhai nahi hoga. bhout mushkil h. Koi chance nahi. sir please upload a interview of optional sub. is gujarati literature..
Current affairs notes. Mam Plz upload. I had MY MAIN ANSWER SHEET tampered by a very light stray mark(as when u try to write on a paper that has no solid base behind it), due to my invigilator and airy atmosphere of my class(thanx to full-blowing ceiling fan) . I am WORRIED if my answer sheet go unchecked! This is my last chance. I really need Ur words. sir please upload optional sub. gujarati literature topper interview like Air (23,70,310,367). @babloo relax……..there will not be any problem….